In my opinion, this is John Hick’s tour de force. 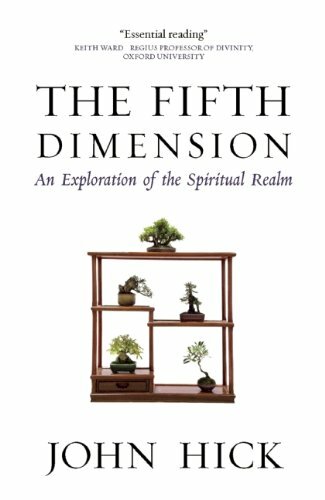 In The Fifth Dimension, Hick systematically lays out a rational way of understanding how the world religions, and religious experience in general, can fit together from a pluralist perspective. I have quibbles here and there with Hick, but really the only thing I don’t like about this book is the title. 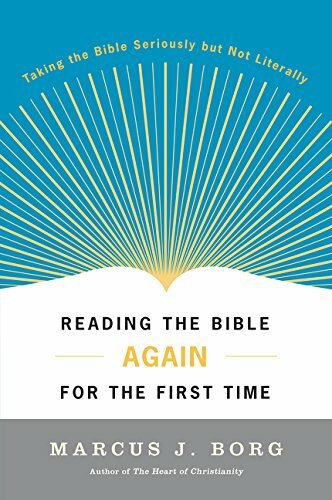 Reading Hick back to back with Marcus Borg’s Reading the Bible Again for the First Time would be a great introduction to ideas surrounding religious pluralism. If you’re looking to dig deeper into Hick, I’d recommend The Metaphor of God Incarnate as a next read. From a religious pluralist perspective, there is a lot we don’t know. We don’t have Divine Scriptures which give us infallible knowledge. We don’t know why the universe exists. We don’t know how it will be in the end. We can compare and contrast the myths and hopes from the world’s religious traditions, but all we are left with is speculation. That’s a hard reality for a lot of people, especially traditionally religious people, to live with. For those growing up in conservative strands of their faith, they are used to having something approaching certainty, at least regarding core matters of belief. As I document in The Evangelical Experience, the move away from this type of thinking can be dramatic, a ripping apart of a worldview on which one has built their life. But from a religious pluralist view, and as Hick argues toward the end of his work, we really don’t need to know these things. ”According to the world religions we exist not only within our familiar natural environment but also within a supra-natural environment. As we saw earlier, because of its value-laden character we are able, as free personal beings, to shut this out of our consciousness. But even when we allow the fifth dimension of reality to enter our experience, much remains utterly mysterious to us. Going beyond questions about the origin and structure of the physical universe, we do not know what happens to us after death. All that we know, if our big picture is basically correct, is that nothing good that has been created in human life will ever be lost. But although we have guesses, hunches, theories about that fulfilment, we are very probably (as the Buddha suggested) incapable at present of conceiving its nature. We do not know how the sufferings and sorrows of life, the agonies and despairs, can become steps on a long journey leading eventually to that fulfilment, as they will if the cosmic optimism of the world religions is justified. We have our theories, but they are only theories. However we do not need at this stage of our existence to know the solution to these mysteries. To become aware of the divine reality here and now by awakening to the fifth dimension of our own being is to begin to live in trust, trust in the (from our human point of view) friendly, serendipitous character of the vast process of the universe. This is not a faith wherein no harm can befall us in this present life, or those we love, but a faith that ultimately, in Lady Julian’s words, ‘all shall be well, and all shall be well, and all manner of thing shall be well’. What we really need to know is how to live. And on this, the religions, at least in general principle, seem to all agree. I would add that we need methods of becoming people who actually live, naturally and from the deepest place of our being, how we know we are supposed to live. That is, in my view, where the contemplative practices come in. But if one adopts a religious pluralist perspective, they need to be comfortable not knowing many things. One issue that becomes more difficult to deal with on a religious pluralist perspective is determining what is, and is not, an authentic "experience of the Divine." In conservative circles, this is a somewhat easier distinction to make as experience that aligns with Scripture and/or orthodox theology is generally considered authentic, while experiences which contradict the teaching of the Church (or the synagogue, or the Temple, or the Mosque) are considered inauthentic. There are also individuals, from all religious traditions, who claim that their spiritual experience has led them to commit acts which harm their neighbors and themselves. So how do we determine the genuine from the inauthentic spiritual experience? The “hard evidence” of a life changed, of the ongoing display of spiritual fruits – love, joy, peace, patience, kindness, goodness, faithfulness, gentleness, and self-control in Pauline language – is the determiner as to whether one has had an authentic experience of God. For Hick, the saints from each tradition play a major role in helping us understand what is, and is not, authentic religion as they, by their character and display of authentic, natural, spiritual fruit, point us toward God. Regardless of the specific cultural/religious form it takes, the criteria of authentic religious experience is the spiritual fruit it produces. After developing the idea of religious critical realism, Hick goes on to discuss the religious meaning of life. What is the end goal of the religious quest? This is a difficult question to answer in the abstract, as each world religion has a unique conceptual system (or systems), vocabulary, etc. Nevertheless, Hick believes we can make some generalizations in this regard. First, Hick notes that the major religions, each in their own way, display some form of “cosmic optimism” – a trust that Reality, often despite present appearances, is benign. “‘Cosmic optimism’ is not a term that figures in the distinctive vocabulary of any of the world faiths. It is however a generalization of their distinctive affirmations about the Transcendent in its relation to human beings. The great monotheisms affirm that ‘as the heavens are high above the earth, so great is [the God of Israel’s] steadfast love towards those who fear him’; or that the heavenly Father of the New Testament is a limitlessly loving God; or that the Allah self-revealed in the Qur’an is ever gracious and merciful. Most Hindus are also, either ultimately or penultimately, theists; and the Bhagavad Gita says of Vishnu that he is ‘the great Lord of the universe and friend of all beings’. But turning to the non-theistic faiths, advaitic Hinduism affirms that in our deepest nature we already are the infinite reality of Brahman, but have yet to become what we truly are. Again, in a more totally non-theistic faith, in Buddhism it is affirmed that our true nature is one with the universal buddha nature of the universe, and again we have to become what in a sense we already are. In both cases they teach that we can, whether suddenly or gradually, whether on earth or in heaven, whether in this life or through many lives, receive or achieve the salvific transformation into a new relationship to, or a newly discovered identity with, that ultimate reality. …When we speak of the ultimate goodness of the universe from our human point of view, we are talking about the total character of a reality which far exceeds what we can presently see and the physical sciences can ever discover. For it is clear from the evils that afflict humanity, and from the equally evident fact that the human potential is seldom fulfilled in this present life, that if the creative process is ever to reach its completion it must continue beyond this life. Thus the faith that, in the words of Julian of Norwich, ‘all shall be well, and all shall be well, and all manner of thing shall be well’ presupposes a structure of reality which makes this possible. Thus the religious traditions, each in their own way, affirm that the reality we find ourselves in is good. Not in the sense that the things we encounter in our day to day lives are all pleasant, but in the sense that, from the religious perspective, our present experience leads, or can lead, to an ultimately good future. As Hick notes, that ultimate future hope is expressed in a variety of ways, even within each religious tradition. But each faith shares that hope and trust in the structure of existence. Regardless of how it is specifically conceptualized, from the perspective of the contemplative traditions, the religious meaning of life is to experience the joyful transformation “out of ourselves,” or beyond the ego, and into the Divine. We now come to what I believe to be the most important, and unique, aspect of Hick’s thought – that of “religious critical realism.” This concept is the key to understanding his broader ideas about how the world religions fit together. Drawing on the work of Immanuel Kant, Hick begins by showing how critical realism can be understood in the natural world. Thus, according to the principle of critical realism, we don’t experience things objectively “as they really are,” but only through the filter of our unique sensory organs and conceptual frameworks. A bat experiences reality in a much different way than a human. According to critical realism, we don’t have a “truer” experience of reality than a bat; we just each experience the same reality differently, according to the equipment we are endowed with. In Hick’s example of the table, the table doesn’t have the objective, fixed attributes of “hardness,” “brownness,” or “shininess,” even though we experience it as such through our unique sensory equipment. This idea, that we don’t experience things “as they are,” but only through our particular sensory equipment and conceptual frameworks, is the key to understanding Hick’s view of world religious experience. According to religious critical realism, when individuals from different traditions experience “the Divine,” we may very well be encountering the same reality, but interpreting it through the lens of our traditions – our given conceptual frameworks. This principle – religious critical realism – drives Hick’s broader understanding of how the world religions fit together from a religious pluralist perspective. It allows one to respect each tradition as an “authentic experience of the Real,” and account for the variety of forms that that experience can take. After arguing that, at a minimum, reality is capable of being interpreted in Theistic terms, in the chapter Windows on the Transcendent, Hick provides what he believes are "windows" that lead to this worldview. Essentially Hick here is providing arguments for the existence of God. In the previous chapter, Hick has already alluded to the Teleological Argument for the Existence of God. Someone promoting the teleological argument looks at the structure of the universe and observes that there are elements that seem to have been designed to reach the telos – the goal – of the creation of intelligent life. Apologists using this argument often point, as Hick does, to various physical constants such as the "Q ratio," the charge value of an electron, the relation between electron and proton masses, the value of the "strong force" and "weak force" between nuclei, and others. The values of these physical constants need to be incredibly precise to form a universe capable of life as we know it. For instance the value of Q must be very close to .00001 for galaxies to even form. This is also sometimes referred to as the "fine-tuning" argument. Hick believes the data of seemingly fine-tuned physical constants opens the possibility of an intelligent Creator. Hick's other "Windows on the Transcendent" include the Window of the Mind, Windows in the Natural World, and Windows in Human Life. Under the heading The Window of the Mind, Hick argues that the nature of consciousness itself leads us to consider the existence of an encompassing non-physical reality – God/Brahman/Dharmakaya/Tao, etc. To make his argument, Hick looks at various theories of mind including the mind-brain identity theory and epiphenominalism, both of which he finds unsatisfactory. The mind-brain theory states that the mind literally is the brain. That there aren't two "kinds of things" going on during a changing state of mind, one physical and one mental, but that they are somehow, the same, physical, thing. Hick finds this borderline incoherent. "Suppose a surgeon has exposed an area of a patient’s brain, and because this contains no pain nerves the patient is conscious and able to report what is going on in her mind. Suppose she is visualizing a seaside bay, the waves sparkling in the sun, a harbour with moored fishing boats at the foot of a grassy cliff, and on top of that a ruined castle. It makes sense – whether true or false – to say that the electrical activity in the brain which the monitors are recording is causing this particular content of the patient’s consciousness (the ‘qualia’ in the philosophical jargon). It also makes sense – again whether true or false – to say that the visualizing could not occur without this particular brain activity. But does it make sense to say that the visualized scene literally is activity in the grey matter which the surgeon can see and touch? Surely this is not even a coherent possibility. There are no pictures or colours, no images of sea and harbour and fishing boats and castles on a hill, in the brain. There are synaptic connections between the millions of neurons, and electricity flowing through a region of these connections in a pattern which somehow either produces or is produced by this particular mental effort of imagination. But the extended and coloured picture which the patient is consciously visualizing is not itself any quantity of neurons or any flow of electricity." In regards to epiphenomenalism – the belief that consciousness is non-physical, but that it is simply a temporary by-product of the physical activity in the brain and therefore unable to causally influence anything – Hick again finds this unsatisfactory for two reasons. First, he argues that, if consciousness is simply a by-product of physical events, there is no reason for consciousness to have developed evolutionarily. On the epiphenomenalist theory, it doesn't really "do anything"; the world would go on just as it would have had consciousness not developed. There is no survival value. Second, Hick argues that this theory rules out the possibility of true (i.e. "libertarian") free-will. "There is also another anomaly of a different kind involved in any physicalism which involves either mind/brain identity or a purely epiphenomenal non-physical consciousness. For although there can be the illusion of freewill (‘compatibilist’ freewill) in a physically determined world, there can be no genuine (‘non-compatibilist’ or ‘libertarian’) freewill. But in that case, as Epicurus pointed out long ago, ‘He who says that all things happen of necessity cannot criticize another who says that not all things happen of necessity. For he has to admit that the assertion also happens of necessity’. In other words, if someone’s thought, ‘My every thought is physically determined’, is true, that thought itself is not the outcome of a process of free critical thinking but is an event determined by physical causes. Two people discussing together, one arguing for and the other against determinism, would be like two differently programmed computers producing different outcomes. It would require a non-determined programmer, exercising free rational judgment, to know which of them is programmed with the correct premises and the correct method of calculation. But according to determinism there are only the physically determined computers. To try to avoid this dilemma some have suggested that there is subatomic randomness within the causal processes in the brain, and that it is this randomness that makes free will possible. But this does not help. Randomness or chaos are just as incompatible with freewill as rigid causal determination. If every thought is either rigidly or randomly determined, we could never be in a state of rationally believing this to be the case. For rational believing presupposes a degree of intellectual freedom, the freedom to exercise judgment, and if all our thoughts are the result of either physical determination or random chance, we have no such freedom. In short, we cannot rationally believe ourselves to be totally determined entities." "...we are left with the mysterious but undeniable fact of consciousness as a non-physical reality, a reality which we have to assume is capable of free self-determining activity. This opens a window onto the possibility of the kind of non-physical reality to which the religions point as God, Brahman, the Dharmakaya and the Tao." "All of this (beauty in the natural world) can induce an awe, a responsiveness, a sense of wonder that is felt as a point of contact between our own spiritual nature and a greater spiritual reality within, around, and beyond us. " "Yet other signals of transcendence come through our human neighbours. Love, not meaning here only sexual attraction, but going beyond this to a deep mutual commitment and caring for one another; or the sense of receiving a great gift and responsibility in the birth of a new life; or an encounter with the mysterious boundary when a loved one dies and yet continues to be loved; or co-operation and unity of spirit in a common cause, motivated by a common faith or ideology; or mutual support in the face of danger (in which even the madness of war can bring out qualities of heroism and altruism); or being part of a community in family, tribe, nation, the human race – all of these can evoke in a mind so disposed a sense of reality transcending our human concerns and yet impinging upon us through them, inscribing in our minds a great question mark that silently invites a response." and (3) the testimony of "the saints" – those who have been transformed by their experience of the Divine to such a degree that they appear almost tangibly different than the rest of humanity. "Even more powerful signals of transcendence come through goodness as embodied both in ordinary and in saintly people. In order to get away from the ecclesiastical associations of the word ‘saint’ I shall sometimes speak instead of mahatmas, great souls. A mahatma is a person who has undergone –usually very gradually –a transformation from natural self-centredness to a re-centring in the Transcendent, the Holy, the Divine, the Ultimate. The ego point of view has been very largely transcended and the individual has become ‘transparent’ to a greater reality that is now in varying degrees embodied, or incarnated, in him or her. The saints are crucial for our understanding of the nature of reality, and I am going to say more about them later. Part V could in fact have been incorporated at this point, and if any readers are inclined to read it next they should feel free to do so. As we have seen, humans have always tended to experience the natural in terms of the supra-natural, although of course that distinction would not have occurred to our early ancestors. They did not need any special pointers to the Transcendent because it was for them part of the normal fabric of life. But today most of us do need special pointers. And we can find them above all in the mahatmas, the great spirits of all traditions. It remains possible that the lives of those great spirits are based on delusion. But if we identify, and then discount, the pervasive naturalistic assumption of our culture, it is equally possible that the saints are not mistaken but are in fact more closely in touch with reality than the rest of us. In the end we are taking a cognitive and spiritual risk when we accept them as guides worthy to be followed, and equally so when we dismiss them as self-deceivers. The risk is, on the one hand, that of fooling ourselves by wishful thinking, and on the other hand, that of shutting out of our consciousness, at least for now, an immensely important fifth dimension of reality. " So Hick ultimately argues that the apparent teleology of the cosmos, the nature of consciousness, anthropology (earlier in the book he referenced man having "an inbuilt tendency to experience the natural in terms of the super-natural"), our experience of natural beauty, the experience of love between individuals and in communities, and the testimony of the saints should lead us to consider the existence of God, a transcendent non-physical reality. Other "arguments for the existence of God" which Hick doesn't mention include the cosmological / first mover argument, the argument from objective morality, the difficulty accounting for abiogenesis (the proposed natural explanations for "first life," which is also capable of reproduction), the apparent teleology of genetic code, etc. There is of course an ongoing philosophical debate between theists, atheists, and all shades in between. Hick believes that some combination of these arguments should lead us to seriously consider the existence of God. To the extent that "logic" leads us to answer the question of God in the affirmative, I think that the cumulative effect of some of these arguments at least opens the door in that direction. Personally, though, I believe it takes some sort of intuitive experience to lead an individual into "spirituality" or "towards God," an experience which almost forces one to consider those categories. "...at the personal level of awareness, situations often carry a practical meaning that transcends their purely material character. Suppose I am driving along a country lane and find a crashed car with its occupant severely injured and crying out for help. At the purely physical level of awareness this is a particular configuration of metal, plastic, oil, flesh, blood, and various sounds and smells. As such, it has no moral quality whatever. But as a moral being I am also aware of another level of significance. I am conscious of a claim upon me to try to help the injured person. An ethical meaning thus superimposes itself upon the physical meaning of the situation. In comparable circumstances people anywhere in the world are automatically aware of this, for a moral capacity appears to be part of our nature as social beings." ...If our big picture is basically correct, the ultimately Real can only enter our consciousness in the range of forms made possible by our own conceptual systems. Because we are persons, much the most common form is deity, a divine Thou with whom a relationship of devotion and mutual love is possible. In terms of the monotheistic traditions first, why should not the personal divine presence be unmistakably evident to us? The answer is that in order for us to exist as autonomous finite persons in God’s presence, God must not be compulsorily evident to us. To make space for human freedom, God must be deus absconditus, a hidden God – hidden and yet readily found by those who are willing to exist in the divine presence, accepting the divine claim on the living of their lives. If we were from the beginning set ‘face to face’ with God we would never be able to make a free response to the Deity. There could be no question of freely loving and choosing to worship One whose very presence utterly overwhelms us. ‘Only because of the intensity of His manifestation is He veiled, and only because of the sublimity of His Light is He hidden from view’, says the Sufi Ibn ‘Ata’Illah. We must, as finite and imperfect creatures, have the freedom partially or wholly to shut God out of our lives as well as to welcome God into them. In the case of non-theistic awareness of the ultimate, the same basic principle holds, although in a different form. According to T.S. Eliot in ‘Burnt Norton’, ‘Humankind [in our ‘fallen’ or pre-enlightened state] cannot bear very much reality’. This is affirmed in the Buddhist Bardo Thodol, where it is said that at the moment of death the soul confronts the clear light of reality. Those few who are able to embrace, or be embraced by, the light are immediately united with the ultimately Real. But the great majority, who are not ready for this, have to continue further round the cycle of rebirths. For generally, both in Buddhist and Hindu thought, enlightenment, liberation, awakening, whilst it may finally occur in a moment of time, only happens at the end of a long process of spiritual growth. It cannot be forced. The readiness has to come from within. This is why religious awareness does not share the compulsory character of sense awareness. Our physical environment must force itself upon our attention if we are to survive within it. But our supra-natural environment, the fifth dimension of the universe, must not be forced upon our attention if we are to exist within it as free spiritual beings." In the end, Hick argues that his "Windows on The Transcendent" can logically lead us toward the call of God/Spiritual Reality, but that we are nevertheless under no compulsion to respond. Although most in today's academic world begin with an assumption of naturalism/materialism, Hick argues that the Universe is, in fact, ambiguous. That is, it can be interpreted in a variety of ways including those which presume a God/Spiritual Reality, and those which do not. In his chapter entitled The Big Bang and the Ambiguity of the Universe, Hick talks about the current scientific understanding of the creation of the Universe – the Big Bang. In the process he references what some have called the teleological argument for the existence of God – the idea that the Universe shows design or that it leads to a telos, an end goal, which includes the development of intelligent life. If Q were much smaller than 0.00001, galactic ‘ecosystems’ would never form: aggregations would take longer to develop, and their gravity would be too weak to retain gas. A very smooth universe would remain forever dark and featureless ... On the other hand, a rougher universe, with Q much larger than 0.00001, would be turbulent and violent. Lumps far bigger than galaxies would condense early in its history. They would not fragment into stars. A universe hospitable to life – what we might call a biophilic universe – has to be very special in many ways. The prerequisites for any life – long-lived stable stars, a periodic table of atoms with complex chemistry, and so on – are sensitive to physical laws and could not have emerged from a Big Bang with a recipe that was even slightly different. Many recipes would lead to stillborn universes with no atoms, no chemistry, and no planets; or to universes too short lived or too empty to allow anything to evolve beyond sterile uniformity. This distinctive and special-seeming recipe seems to me a fundamental mystery that should not be brushed aside as merely a brute fact." Hick's point in this chapter by citing the possible teleology of the cosmos is simply to argue that the Universe can be interpreted theistically. The reality we find ourselves in is open to a host of explanations, not just explanations that assume materialism. As Hick notes below, each worldview can be internally consistent while taking into account the other side(s). "So in the west today religious faith is on the defensive in the public mind. This is a reversal of roles. A couple of hundred years ago it was the naturalistic thinker who had to show the dogmatic religious believer that the universe is ambiguous and does not have to be understood religiously, whereas today it is the other way round. It is now the religious person who has to show the dogmatic naturalistic humanist that the universe does not have to be understood as solely purposeless matter. The reality is that the universe is to us at present ambiguous as between religious and naturalistic interpretations. There can in principle be both complete and consistent naturalistic and also complete and consistent religious accounts of it, each including an account of the other." After presenting "the big picture" of reality as he sees it, Hick acknowledges that his position is a minority one in today's world. In contrast to any kind of religious outlook, modern society, in Hick's opinion, begins from a starting point of Naturalism. "Naturalism, then, is the belief that reality consists exclusively in the multiple forms of discharging energy that constitute the physical universe. This includes our earth and the human and other forms of life on it, and hence the multitude of human brains and their functioning, which in turn includes the production of thought, language, feeling, emotion, and action. The status of such supposed non-physical realities as God, Brahman, Dharma, Tao, the soul or spirit, is that of ideas in the human mind, so that before there were human mind/brains to create them, they did not in any sense exist. Naturalism is thus equivalent to the qualified materialism which does not deny the existence of mentality, but holds that it is either identical with, or totally dependent from moment to moment upon, the electro-chemical functioning of the brain. In our western world, beginning around the seventeenth century, the earlier pervasive religious outlook has increasingly been replaced by an equally pervasive naturalistic outlook, and during the twentieth century this replacement has become almost complete. Naturalism has created the ‘consensus reality’ of our culture. It has become so ingrained that we no longer see it, but see everything else through it." 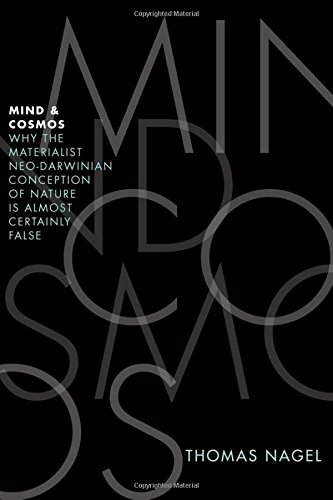 I'm not as convinced as Hick that Naturalism – the belief that physical matter is all that exists – is all-pervasive in society. Perhaps in more academic circles, and perhaps more in Hick's homeland of Great Britain, but maybe not as much in modern America. I would argue that, although modern Americans aren't as monolithically orthodox as they used to be, we are still a religious and/or spiritual people. Regardless, in a more academic setting, you are more likely to have to argue for a non-Naturalist worldview than to assume it. "That Man is the product of causes which had no prevision of the end they were achieving; that his origin, his growth, his hopes and fears, his loves and his beliefs, are but the outcome of accidental collocations of atoms; that no fire, no heroism, no intensity of thought and feeling, can preserve an individual life beyond the grave; that all the labours of the ages, all the devotion, all the inspiration, all the noonday brightness of human genius, are destined to extinction in the vast death of the solar system, and that the whole temple of Man’s achievement must inevitably be buried beneath the debris of a universe in ruins – all these things, if not quite beyond dispute, are yet so nearly certain, that no philosophy that rejects them can hope to stand. Only within the scaffolding of these truths, only on the firm foundation of unyielding despair, can the soul’s habitation henceforth be safely built." Although those born is comfortable situations can ignore this depressing "big picture" and take solace in the simple joys of life, they are only for a moment. And not only that, but the vast majority of humans throughout history have not been born in a time and place that allow them a comfortable and enjoyable existence. Countless have been born into poverty, disease, slavery, early death. Naturalism, for Hick, leaves neither the comfortable nor the uncomfortable with any future hope. It is "bad news for the many." 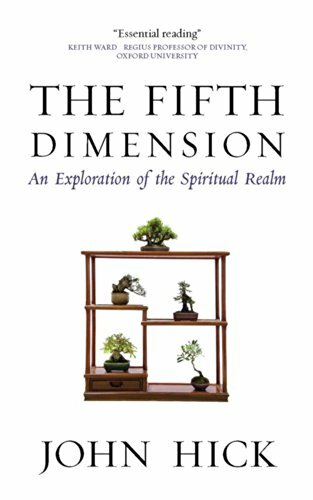 I am beginning a series on John Hick's The Fifth Dimension. In this book, Hick argues that Transcendent Reality – what various traditions call God, Adonai, Allah, Brahman, the Tao, etc. – is an actual element of reality and that our relation to It, what he calls the "fifth dimension" of our nature (he never explicitly states this, but I believe the first four would be the three dimensions of space and the additional dimension of time), is an essential aspect of our being. John Hick was a religious philosopher and expounded religious pluralism – the idea that the world's religious traditions point to "the experience of God," but that no particular tradition has a corner on truth. I believe Hick lived within the Church until his death, interpreting his tradition as a "true myth." He also wrote significantly about liberal understandings of Christianity, for instance in The Metaphor of God Incarnate. In the Introduction to this book, Hick very briefly traces primal religion through the beginnings of man, for instance noting that Neanderthals seemed to have beliefs in the afterlife as well as ritual burials. The archaeological evidence from the beginning of man's history have even led some to label homo sapiens as homo religiosus – religious man; we are beings that seem to have "an inbuilt tendency to experience the natural in terms of the super-natural." After touching on primal religion, Hick turns to the "Axial Age," during which most, if not all, of the world's enduring religious traditions were developed. "... around the middle of the first millennium BCE, in a band of time stretching from about 800 to about 200 BCE, remarkable individuals appeared across the world, standing out from their societies and proclaiming momentous new insights. In China there were Confucius, Mencius and Lao-Tzu (or the anonymous writers of the Tao Te Ching) and Mo-Tzu. In India there were Gautama, the Buddha; Mahavira, the founder of the Jain tradition; the writers of the Upanishads and later of the Bhagavad Gita. In Persia there was Zoroaster. In Palestine there were the great Hebrew prophets – Amos, Hosea, Jeremiah, the Isaiahs, Ezekiel. In Greece there were Pythagoras, Socrates, Plato, Aristotle. This immensely significant hinge in human thought has come to be known as the axial age. If we see Christianity as presupposing Judaism, and Islam as presupposing both Judaism and Christianity, all of the present major world religions trace their roots to this axial period. Pre-axial or archaic people generally just accepted the given conditions of their lives. They did not stand back in thought to engage in critical reflection. They did not envisage alternatives that might lead to a fundamental dissatisfaction with the existing state of affairs. Life was for them, as one anthropologist puts it, ‘a one-possibility thing’. But during the axial age, in large areas of the world, there were several mutually reinforcing developments: the formation of cities; the emergence of individual as distinguished from communal consciousness, first in rulers and religious leaders and then increasingly widely; and a sense of the unsatisfactoriness, the felt incompleteness of our ordinary human existence, found somehow lacking in a higher quality that nevertheless stands before us as a real possibility." In the Axial Age, Hick argues that a growing sense of incompleteness or unsatisfactoriness of life developed in the major traditions. In the West, this was primarily interpreted through the lens of sin and guilt, while in the East it was interpreted mainly as spiritual misunderstanding or "false consciousness." In either understanding, the solution was to fundamentally shift our primary concern from fulfilling our self-will – a centeredness on self – to a new grounding or centeredness in The Divine, The Transcendent, The Ultimate. "The ‘western’ religions call this general distortion of human life sin, thus identifying guilt as the problem. The ‘eastern’ religions call it spiritual blindness, thus identifying false consciousness as the problem. 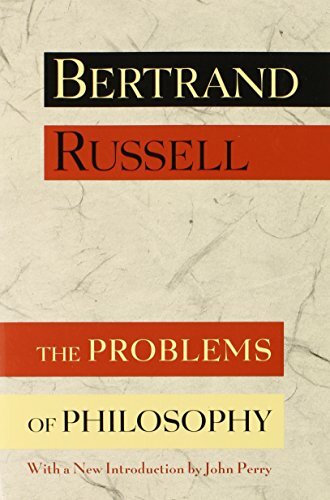 But whether we regard moral evil as the expression of false consciousness, or false consciousness as the expression of sin, the distortion itself is a manifest reality; and it is from this that the post-axial religions offer to free us. Their function is to be enabling contexts of the transformation of human existence, a transformation from sinful and/or deluded self-centredness to a radically new orientation centred in the Divine, the Transcendent, the Ultimate, thus freeing what they variously call the true or selfless self, the atman, the universal buddha nature, the image of God within us. This radical change is a re-centring which produces an inner peace, serenity, joy, purity of heart, and clarity of moral vision." Of the Transcendent Reality which we are to find our grounding in, the mystics can only say that It is ineffable – beyond our human understanding to conceive. God can be experienced, but not fully understood intellectually. "The fifth dimension of our nature, the transcendent within us, answers to the fifth dimension of the universe, the transcendent without. In speaking of this, the limitations of language create a problem to which there is unfortunately no satisfactory solution. We want to refer to that which, according to the religions, is the ultimate object of human concern. In a western context we speak of God. And it is possible to use this familiar term with the stipulation that it points to the ultimate reality without however defining it, and so without prejudging whether that reality is personal or non-personal or even such that this duality does not apply. But in practice the long-established associations of the word as referring to an infinite divine Person are generally too strong for this stipulation to be effective. And so we resort to such terms as the Ultimate, Ultimate Reality, Absolute Reality, the Real, the Transcendent, the Divine, the Holy, the Eternal, the Infinite – with or without capitals. I shall use all of these, and even the grammatically improper ‘ultimately Real’, as a reminder that no one of them is entirely adequate. But I shall tend to favour either the Transcendent or the Ultimate or, even more, the Real, because this latter is the rough equivalent of both the Sanskrit sat and the Arabic al-Haqq. However we shall be continually up against the fact that language has developed in our struggle to cope with the material environment and that when we use it to refer to the transcendent it inevitably has non-literal meanings (i.e. not in accordance with the ordinary dictionary meanings of words). It is now allusive, suggestive, metaphorical, poetic, pointing rather than defining. And so we have continually to try to focus, not on the pointing finger of language, but on that to which it points. The mystics of the great traditions affirm almost unanimously that the Real is beyond human conceiving. It is ineffable or, as I prefer to say, transcategorial – outside the scope of the categories with which we think." In his Introduction, what Hick has basically described as his "Big Picture" for understanding the structure of the universe is The Perennial Philosophy – that there is a Spiritual Ground to our existence, that this Reality can be experienced within the soul of each created being, and that our ultimate good is to align, ground ourselves in, or even "become one with," this Reality. Hick will spend the rest of The Fifth Dimension expanding on this idea and arguing that it provides a compelling view of the nature of reality.